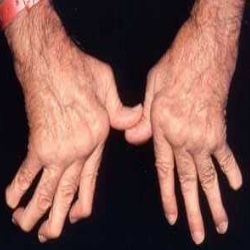 [toc] Rheumatoid arthritis is also known as RA. It affects the joints and may make a person disabled due to the damage to the joints. There are many medicines which are in the market for the treatment of rheumatoid arthritis. The list of medicines is very long. Some medicines relieve symptoms, whereas some others slow the progression of the disease. The medicines can improve your day to day functioning, reduce pain, reduce inflammation of the joints, either prevent or delay deformity or damage of the joints and can prevent permanent disability. Though there is no cure for RA, fortunately there are many medicines which can improve the quality of life. This article enlists a few medicines which are commonly prescribed to patients of RA. 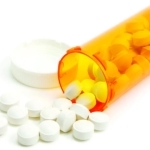 Painkillers are given to the RA patients to reduce pain. The painkillers do not look after inflammation of the joints, but they control the symptoms of RA. The most common painkillers given to RA patients are acetaminophen, acetaminophen with codeine, acetaminophen with hydrocodone and tramadol. The NSAIDs relieve pain and inflammation of the joints. They don’t arrest the disease but help you with pain and swelling. NSAIDs are of two types and both of them function differently. The first category is of the traditional NSAIDs, such as naproxen or diclofenac and ibuprofen. The second category is called COX-2 inhibitors, also called coxibs. 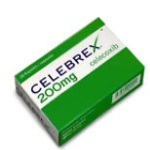 Commonly used coxib is celecoxib. However, if one has asthma, enzyme or peptic ulcer, the doctor may not prescribe NSAIDs. Patients who have had a heart attack or a stroke may also not be given NSAIDs. These tablets have their own side effects like stomach problems and bleeding of the lining of the stomach. When NSAIDs don’t give relief to a patient, corticosteroids are used. The are given in the form of tablet, the commonly used corticosteroid is prednisolone, corticosteroids come in the form of injections too, which are given into the muscle joints. 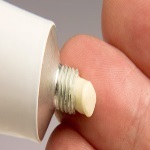 Corticosteroids bring about a quick and longer lasting relief, one may not feel the pain or swelling for weeks or months together. DMARDs not only relieve the symptoms or RA but also help to slow down the advancement of RA. The earlier DMARDs are started, the better it is. 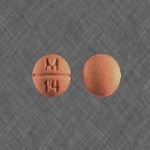 Commonly used DMARDs are methotrexate, sulphasalezine, hydroxychlorofene and leflunomyde. DMARDs can also give you some side effects like mouth ulcer, diarrhea, skin rashes or hair loss. These are a relatively new type of treatment for RA. The biological treatments are usually combined with some or the other DMARD. The biological treatments include rituximad, tocilizumad, infliximad, adalimumab, etanercept and certolizumab. Though the biological treatments are not prescribed to everyone, they are known to have milder side effects. Side effects include headaches, fevers, nausea, and skin rashes at the place of injections.